Happy New Year!!! New Year's Day is my favorite holiday! But how would you know or remember that, given my propensity toward semiannual blog updates? I plan to blog more frequently in 2012. I've missed sharing my sewing exploits, and I have talked myself out of posting some patterns and tutorials for silly reasons. This year, I'll just put it all out there and maybe it will be of use to someone, somewhere in the world, just when they need it. First up in the new year is a free pattern and pseudo-tutorial (you'll see what I mean in a moment) for an envelope clutch. 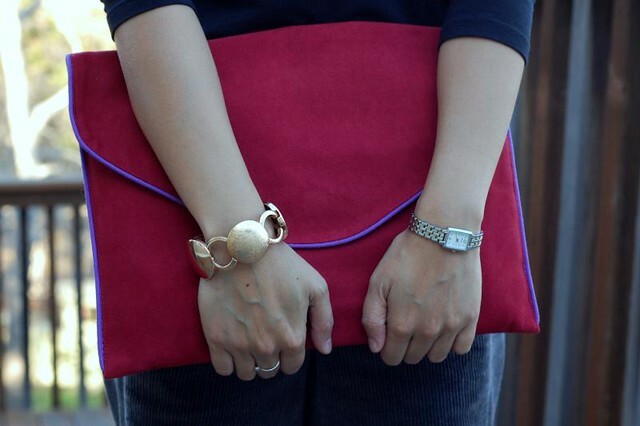 I was OBSESSED this summer with sewing pleather, and faux suede, and other new-to-me fabrics, and I was digging the envelope clutches all over street style blogs and Pinterest. I'm comfortable sewing clothes, so putting together a bag has never been a technical concern. But when it comes to bags, there are often curves and proportions that look better when they're planned, and not made up on the fly. Download the Norma Envelope Clutch Pattern here. And the brief pseudo-tutorial follows the jump. Cut out bag piece and lining piece and mark notches for piping and magnets. Sew one magnetic closure to the right side of the bag, as marked, and the other magnetic closure to the right side of the lining, as marked. Baste piping to right side of bag fabric. You don't have to use piping but I think it looks cleaner and helps finesse little oopsies like fabric slippage, etc. Place bag on top of lining, right sides together, and sew, leaving an opening along the bottom straight edge of the clutch. Turn the clutch right side out, press, and sew the opening closed. You have no idea how many patterns and ideas I haven't shared on the web because I avoid technical writing and photography! But I can handle writing 6 steps, and scanning in my hand-drafted patterns. 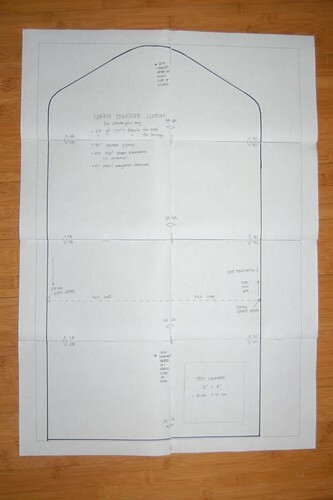 I hope that works for you if you plan to download the pattern and sew the clutch. 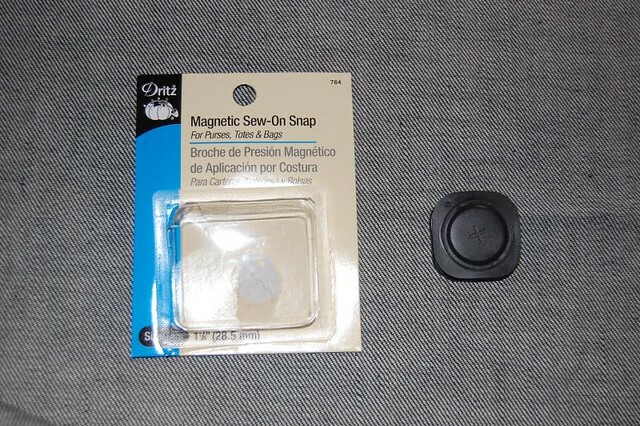 Although I'd imagined a nickel magnetic closure, all I found at my local fabric store was this Dritz Magnetic Sew-On Snap. The magnets are strong, and encased in this rubbery plastic. You actually sew in the little groove. It was easy, I didn't break any needles, and I really like how flat they lay on the clutch. All good! That's all for now. I hope you are all enjoying a safe, beautiful, fresh new year! Welcome 2012! Thanks for the free pattern I have several bags just like this. I am thrilled you have enabled people to download this pattern. also, did you make those trousers? they're very cool. Thank you for this wonderful pattern! I've been wanting to make one of these for a while. I hope 2012 is a great year for you. Look at all that hot piping! I am surprised to read you don't like technical pix and writing--as you know I love your undies tutorial and think you are excellent at explaining things. Can't wait to see what you sew in the new year! Happy happy! I love it!! It's already pinned!! Happy New Year! Here's to reading more from you in the new year. Happy New Year! Thanks for the pattern-- it's a lovely bag. Your tutorial was so easy to follow, I might just make the Norma my first ever handmade bag. :) Thanks! and Happy New Year! Am definitely doing this. In more than one size - netbook and laptop! I think I might add in some stiff interfacing to give it a bit more body. glad you are back with a blog post. i stopped blogging for many months but am now picking it up again. 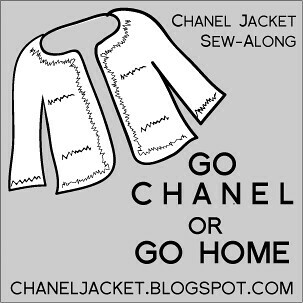 i'm glad that you will post more in 2012. you are such a sewing maven and i always like to see what awesome funky outfits you have made for yourself! Nice to see you back - love the envelope clutch, the piping detail is just adorable! Happy new year! Love the clutch, the purple piping is perfect. Don't ever talk yourself out of posting tutorials! You'd be surprised at what we, out here in the ether, could use help with =). That's a great bag - love the red faux-suede. Happy New Year, looking forward to your tutorials! Love this! Made one yesterday with herringbone & a red and white toille! Wish I could post a picture but I can't find out where to do that? Ooh I love this! It's one of my favorite styles. Thanks so much for the pattern, I'll be spreading the word. A, you are everywhere (or your bag is, anyway)! and I didn't even realize it was you until I popped on over to your blog to see what you've been up to. Though come to think, those do look like your hands and shoes. Glad to see you are still busy and sewing, p.s. I also dig those trousers. Thanks so much for the great pattern. You have done a great job with pictures and directions. I love this bag. Thanks for sharing all your hard work and for sharing this with us all!!! This is truly lovely! I need something smart and not office-supplyish for my shtuff. I'm planning on making a few - one for each take-along project with paperwork involved! I saw this envelope clutch a while back, and as much I wanted to make one of my own, I couldn't think of when I'd use it. 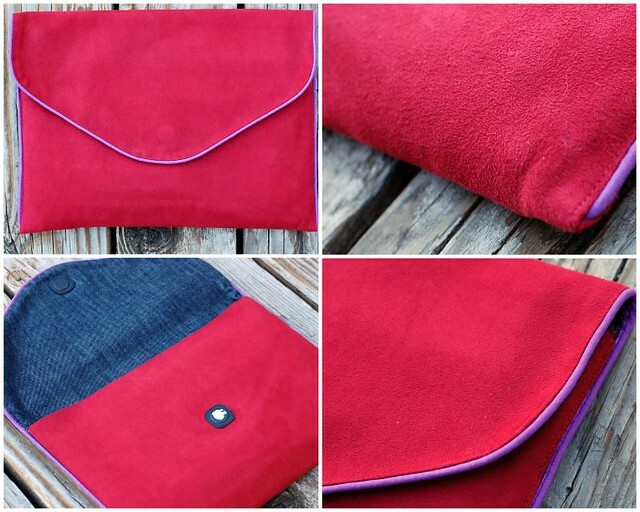 Then I released it would make a perfect laptop/ ipad sleeve with some padding/foam core. Love love love the tutorial. I have linked you over on my blog here (http://mel-allwrappedup.blogspot.com.au/p/link-love-to-amazing-free-craft.html). I think the bag is so cute where did you get the pattern? Question!!!! And help i guesss...your clutch looks likes its stiff and can withhold alot...which is how i want mine...how did you do that??? I just love this ..the minute i saw it i had to have it!!! But i need help!!! How does yours look soo stiff and can withold weight???? How did you do it? My iPad was in the clutch for these photos. I have given these to friends who will slip cardboard into them when they need structure. You could always cut the cardboard to size and insert it into the back of the clutch just after you turn it inside out. If I wanted mine to be stiff all the time, I'd probably sew an extra pocket to the inside back of the clutch, and put in cardboard or quilter's plastic to help it stay stiff. Hope this helps! I have a 13 inch MacbookPro. Would it fit?